It’s important for dog owners to know they’re taking good care of their dogs, and this ultimately involves learning fundamental dog care as well as meeting the animal’s basic needs, thus ensuring happiness and health. As with people, dogs require water, food, and shelter in order to survive as well as nurturing and physical care. In short, caring for a dog takes more than just having the right supplies—you must provide proper care and the right environment. To get a fuller idea of what this care entails, check out our quick guide for meeting your dog’s basic needs! One of the most fundamental parts of dog care is providing a balanced diet, so you should research dog food companies that use first-rate ingredients rather than fillers, and choose the type your dog actually enjoys—holistic, expensive diets are no good for dogs who won’t eat them. If you decide to use a homegrown diet, you should discuss your ingredients with the animal’s vet to ensure they’re right for the dog. Once you have an appetizing dog food, watch your dog’s response for the next few weeks, as dull hair coat or drops in energy may call for a change in food. If you opt for changing your dog’s food, do so slowly to prevent food aversion or gastrointestinal issues, and speak with your vet if you see any health changes. And, of course, make sure your dogs have plenty of clean, fresh water. In addition to proper nutrition, dog owners need to keep their dogs healthy through regular exercise as well as preventive vet care. Come up with some type of exercise routine, even if it’s just a quick walk every morning. More exercise might be required depending on the dog’s breed, but avoid overdoing it. You should also schedule a vet appointment once or twice per year for a standard wellness check-up, as potential issues are usually discovered before dogs even show symptoms of illness. Also, just as dog owners keep Band-Aids, Manuka honey, and other such tools in their home for themselves, remember to have some on hand for your dog as well. Lastly, some dogs may require regular haircuts in addition to their regular grooming, including nail trimming and bathing. Just like young children, dogs thrive with both discipline and structure, making training programs—and sticking with them—paramount for a dog’s quality of life. Some dog owners prefer joining a class run by a professional trainer whereas others may prefer learning about training their dogs on their own. Regardless, you must establish that you’re in charge, reinforce the dog’s good behavior, and correct misbehavior humanely. If you stay consistent, you should get positive results. 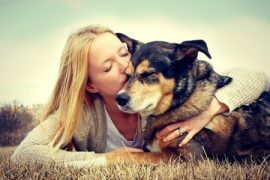 Preserving the canine-human bond is crucial for your dog and its ability to thrive—just remember dogs are social creatures that need to interact with their humans, so set time aside for the both of you to bond. Playing with toys, petting and talking to them, and taking them for car rides are just a few ways to preserve and strengthen this bond. If you would like to purchase some Manuka honey for you or your canine (just remember to use in extreme moderation), click here. And remember, all orders of $150 or more get FREE shipping.